There are times when the thought of making desserts from scratch overwhelms me. That is usually when I am going crazy running around after my two kids and our dog with minutes to spare to take a dessert to someone’s house. Brownies from scratch? Forget it! Instead I do the next best thing and grab a box of brownie mix. Some desserts just taste way better homemade, but in my opinion, brownies from a box often live up to their homemade counterparts. There is nothing wrong with nabbing a box at the store and stirring in some eggs and oil. It is super simple, and they still taste great. The secret is to take it just one step further to really make them taste homemade. I like to customize them with some amazing add-ins. That way they are basically homemade and take half the time. Here are a few brownie hacks to customize your semi homemade brownies; everyone will love the results. 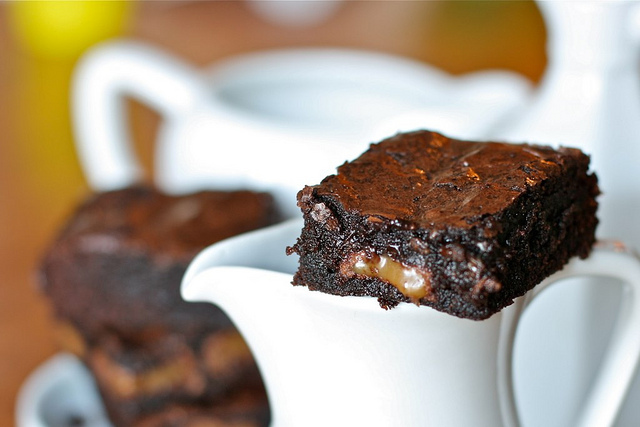 These amazing caramel brownies look unbelievable but only take one little addition. Find the recipe on The Hungry Housewife. 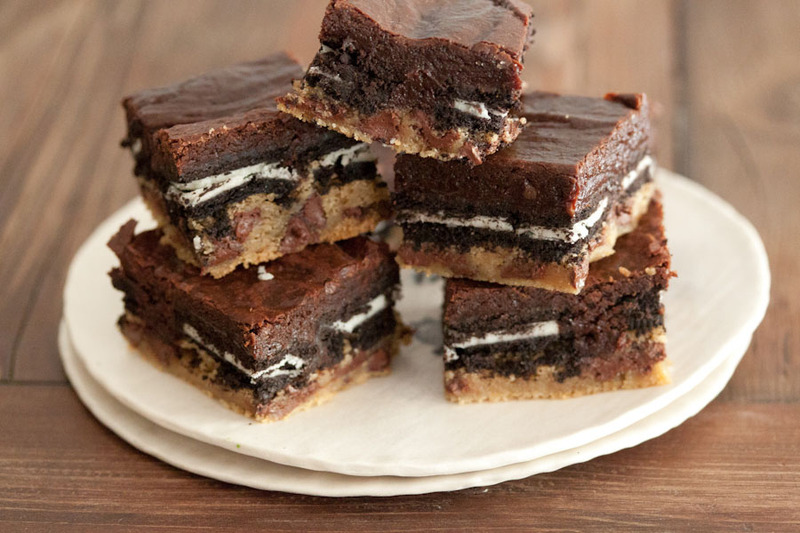 These hilariously named “slutty brownies” are the most epic of all doctored brownies. Find the recipe on What’s Gaby Cookin’. 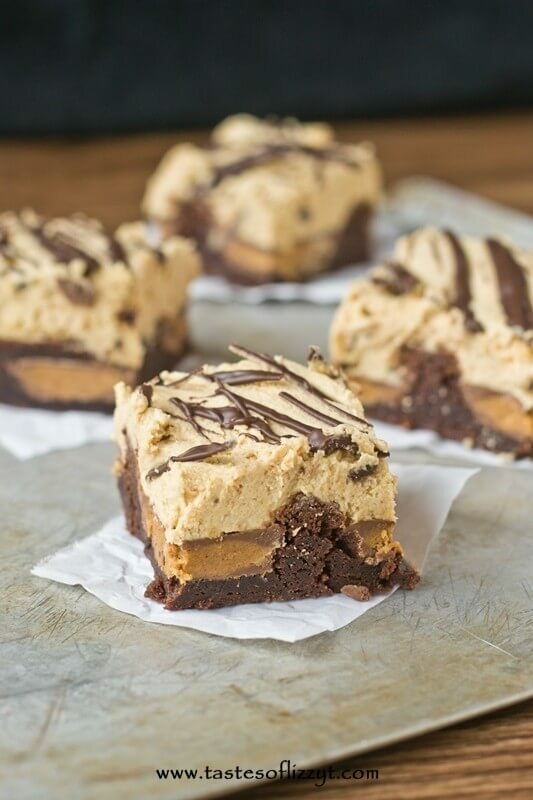 Brownies stuffed with Reese’s and topped with a fluffy peanut butter frosting are perfect for the peanut butter–chocolate lover in your house. Find the recipe on Taste of Lizzy T.
If you are up for a brownie celebration cake, look no further. Find the recipe on Life Love and Sugar. Do you love lava cakes but need a shortcut? 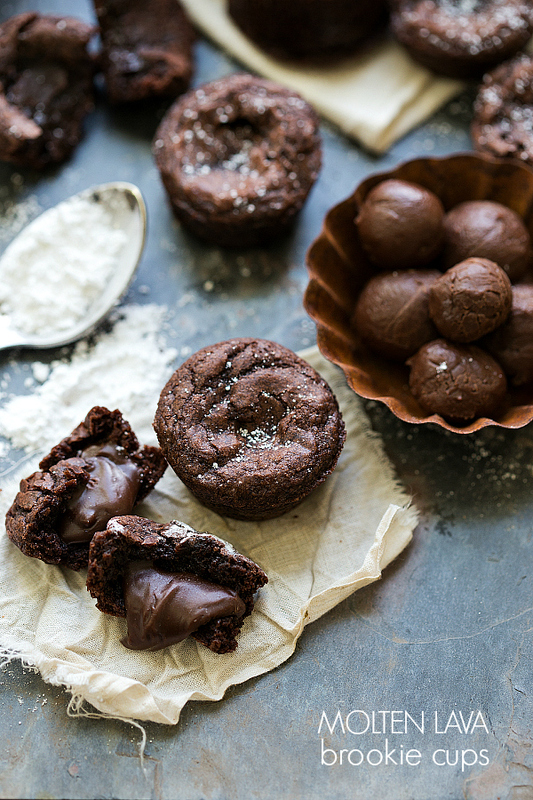 Make them using brownie mix, and you’ll never know the difference. Find there recipe on Chelsea’s Messy Apron. 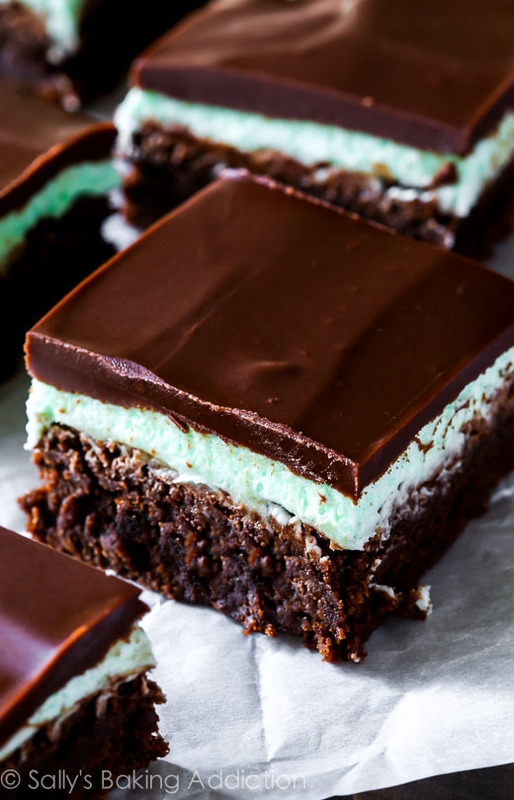 Mint brownies are the best for the peppermint lover in your life. This easy adaptation will make everyone happy. Find the recipe on Sally’s Baking Addiction. 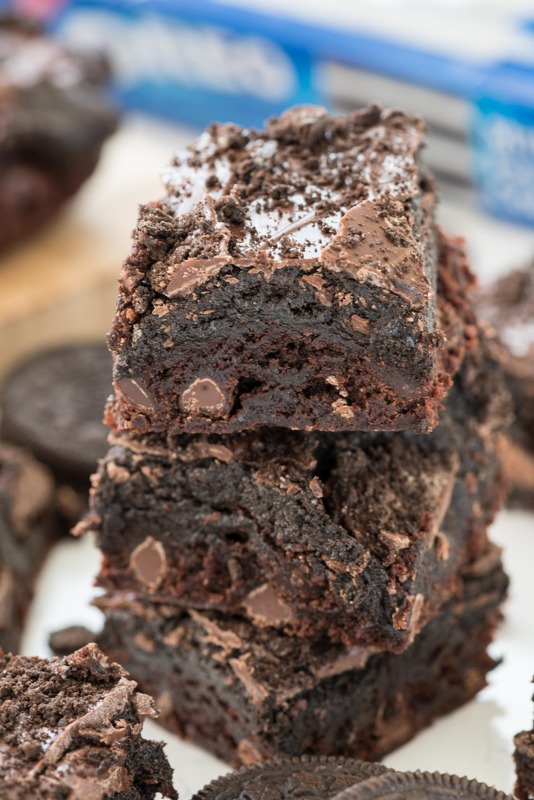 Oreos make everything better, and these brownies prove it. Find the recipe on Crazy for Crust. 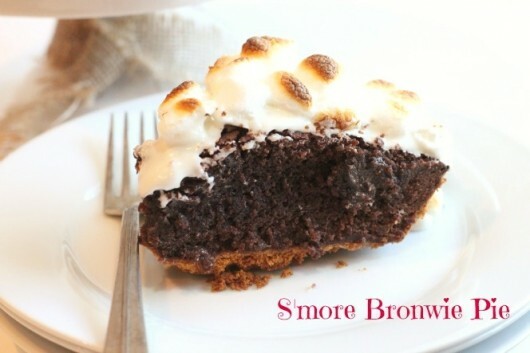 Did you know you can make pie with brownie mix? It doesn’t seem possible, but it is true. Find the recipe on The Girl Who Ate Everything. 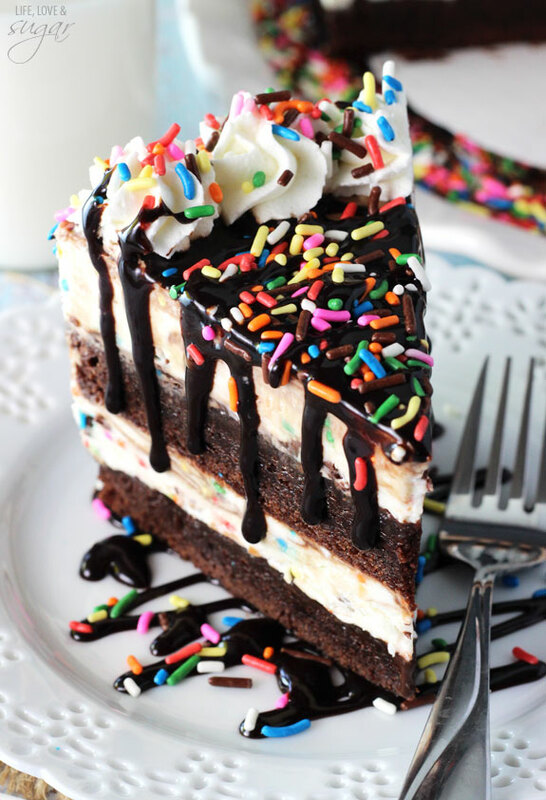 Can’t decide between brownie batter or crispy treats? Make these! Find the recipe on Cookies & Cups. 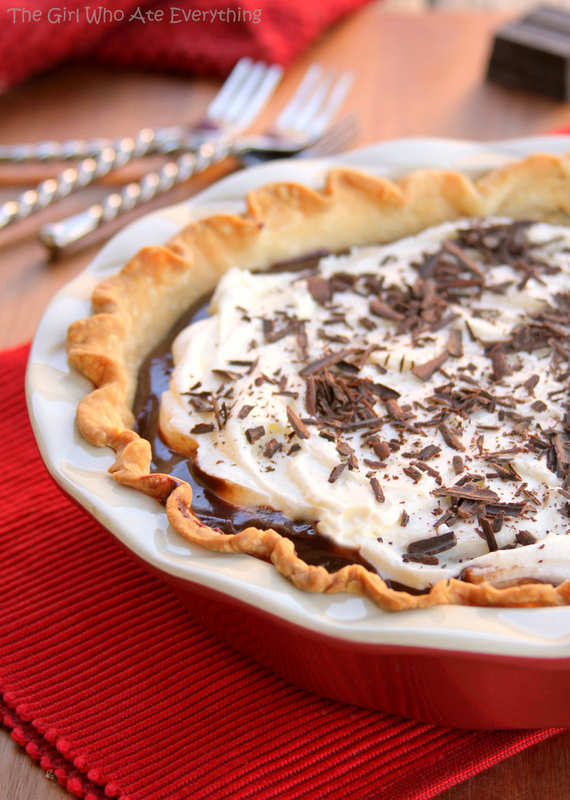 Diane knows how to make a pie…with brownie mix and a graham cracker crust! 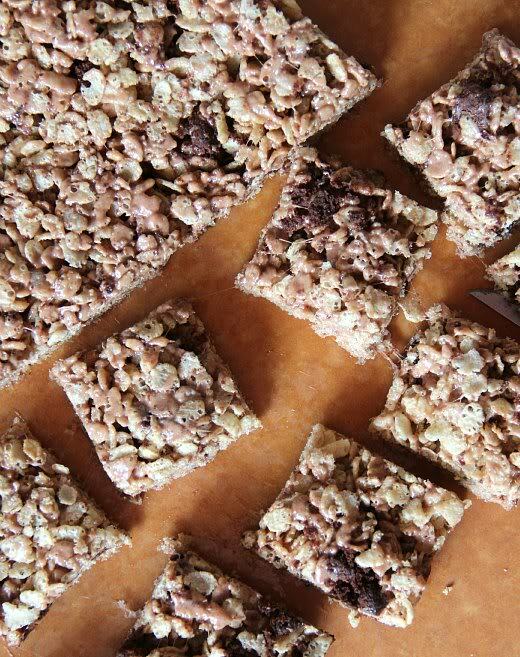 Find the recipe on Created by Diane. 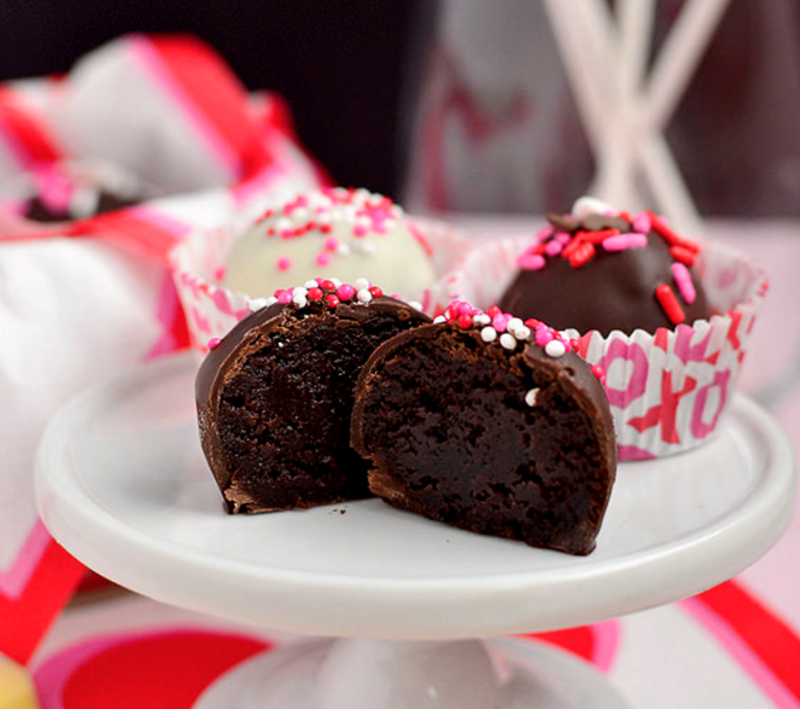 Truffles are decadent, and they are so easy when made with brownie mix. Find the recipe on Iowa Girl Eats.